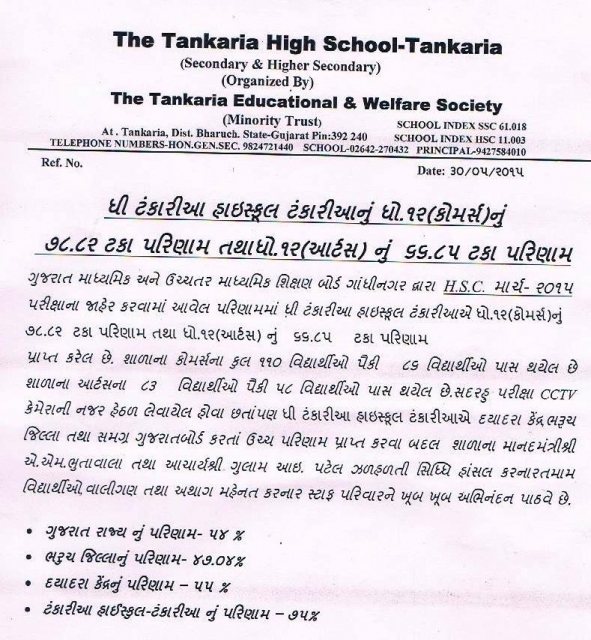 HSC 2015 results from the Tankaria High School. Rabiya Musa Patel (Dedka) [sister of Abbas Bachcha] passed away in Gandhinagar yesterday. Inna lillahe wainna ilayhe rajeun. May Allah [SWT] grant her the best place in Jannatul Firdaush. Ameen. Yunus Ismail Kabir [known as Boon] passed away. Inna lillahe wainna ilayhe rajeun. May Allah [SWT] grant him the best place in Jannatul Firdaush. Ameen. Pride of Tankaria, Rumana Inayat Matadar. 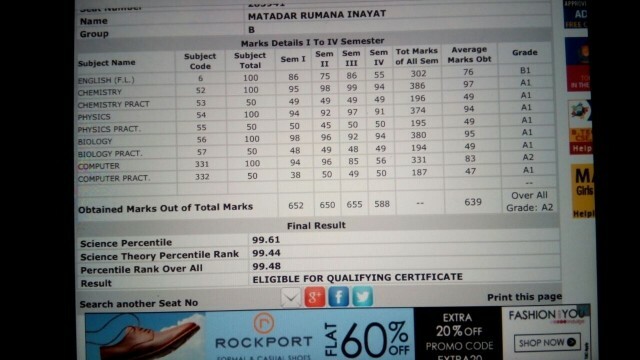 We are so happy and excited to inform you that one of our Tankaria girls, Rumana Inayat Matadar, living in the city of Vadodara, in the state of Gujarat, India, has obtained 99.48 percent in the HSC 12th science exam. This is an outstanding performance worthy of applause. We hope and pray that her achievement will inspire other students in our community. Ameen. We, on behalf of the MyTankaria visitors around the world, would like to congratulate Rumana and her family on her success and pray for more in future. Ameen. 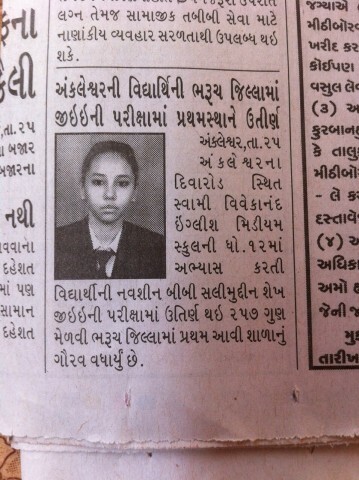 Pride of our community, Navseen Shaikh. 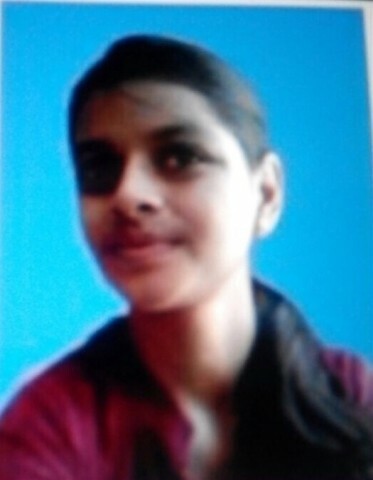 Navseen Salimuddin Shaikh, a student of Swami Vivekanand English Medium School in Ankleshwar, came first in the JEE board exam. This is an achievement worth celebrating. We, on behalf of all the MyTankaria visitors, congratulate Navseen and her parents, and pray for more success in future. Ameen.